I have never seen anything like this charm before. 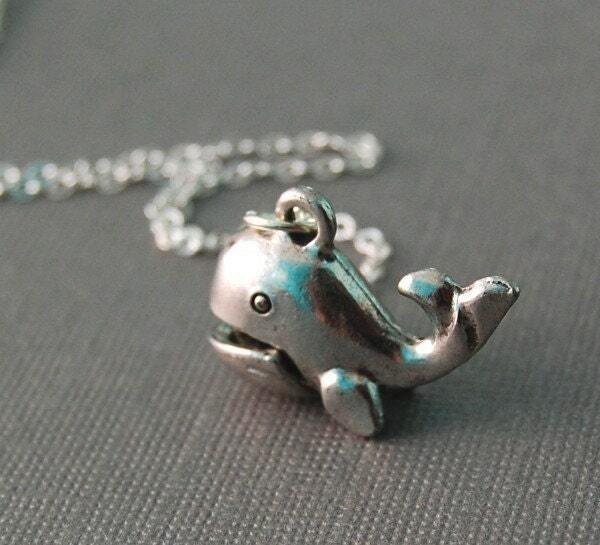 It's an adorable silver whale with a mouth that opens and closes! So amazing. And definitely fun to wear. The whale measures 1" wide and 1\/2" long. Hangs on an 18" silver plated chain.